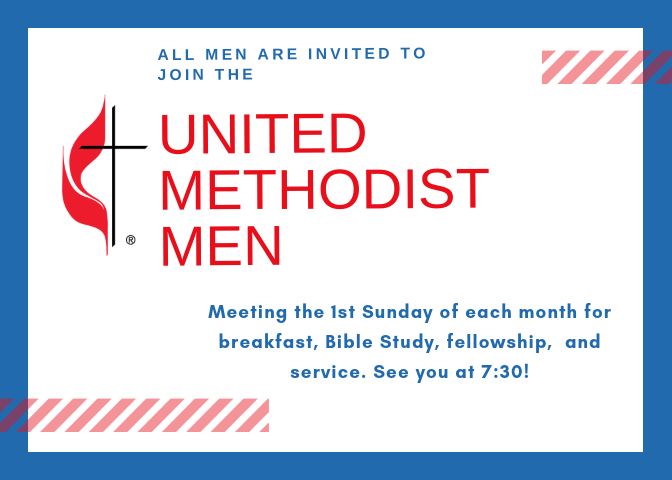 The Ford’s Chapel United Methodist Men is a place for men to fellowship, grow, and strengthen each other. They gather for a big home-cooked breakfast, fellowship, and meeting the 1st Sunday each month at 7:30am. Men’s Ministry also unites together to serve in many capacities like home and lawn maintenance and repair, hospital and shut-in care and visits, and regular missions partnerships. Come and join these men as they grow towards Christ together. Please contact the church office if you have questions or are interested in getting plugged in.